Today I am featuring a wonderfully warming dish, perfect for a cold wintry day. The red, green and white colours also make it feel like a very Christmassy dish, perfect for the festive season. 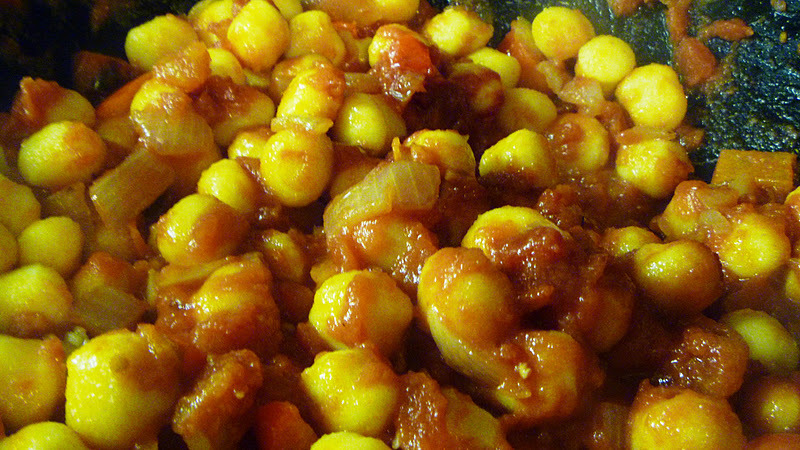 This is a really quick and easy meal to prepare and is so hearty and delicious. 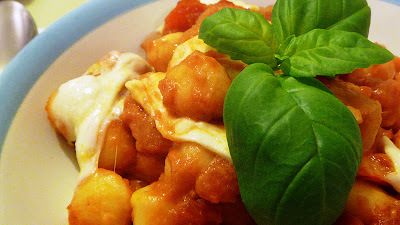 The Gnocchi served two of us comfortably, but I would probably double the quantities for a family of 4. You could substitute the onion and pepper for whatever veg you have in available and also use a different cheese if you didn't have mozzarella in the fridge. We thoroughly enjoyed eating our Mozzarella, Tomato and Basil Gnocchi which we ate with some Garlic Bread to bulk it out a little. In a large frying pan, heat the oil and softly fry an onion and pepper for about 5 mins. Add the garlic and fry for 1 minute. Stir in the tomatoes and puree, then add the gnocchi and stir to combine once again. 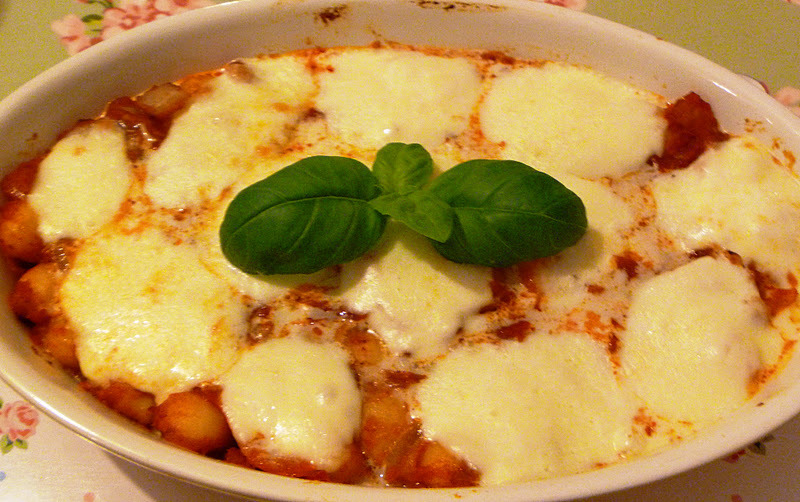 Let the mixture simmer and then allow to bubble for 10-15 mins, stirring occasionally, until the gnocchi has softened and the sauce has thickened. Season the dish, then add the basil and stir through the dish. Turn the Grill on high. Transfer to a large ovenproof dish. 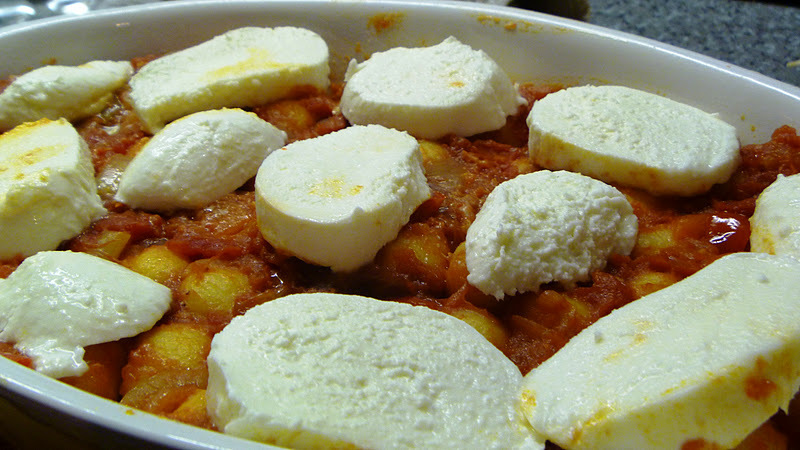 Scatter the Gnocchi with the mozzarella, then grill on a high heat for 5-6 mins until the cheese has melted and is starting to turn golden. 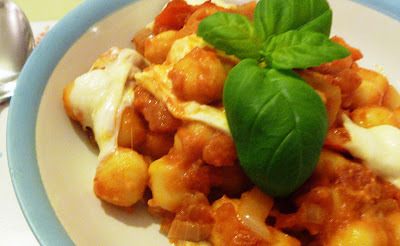 Easy to make and very delicious, couldn't ask for more! Peppermint Star Biscuits.... or Shrek Biscuits!! Preparing for Christmas & Freezer Week!